June | 2018 | Mothers Against Wind Turbines Inc.
Over the past four years we have written, faxed, emailed you and your previous fellow MPP’s many times and clearly told you one of the ways the Liberal party of Ontario was going wrong. The Liberals’ callous, cruel disregard for the rights of the people of Ontario was very clearly demonstrated right up to the last week of parliament when over 3,000 people signed petitions simply asking your party to recognize your own lower, safer noise levels for industrial wind turbines. Late Friday, May 3 MOECC approved the Nation Rise Wind project using the higher noise levels (EDP Renewables of Portugal had surveyors on local roads Monday, May 6) and your party leader dissolved parliament May 7. The approval inflicted an additional debt on all people of Ontario of $1.8 million/month guaranteed for 20 years to a foreign county. Over the years we asked you and your party, why? 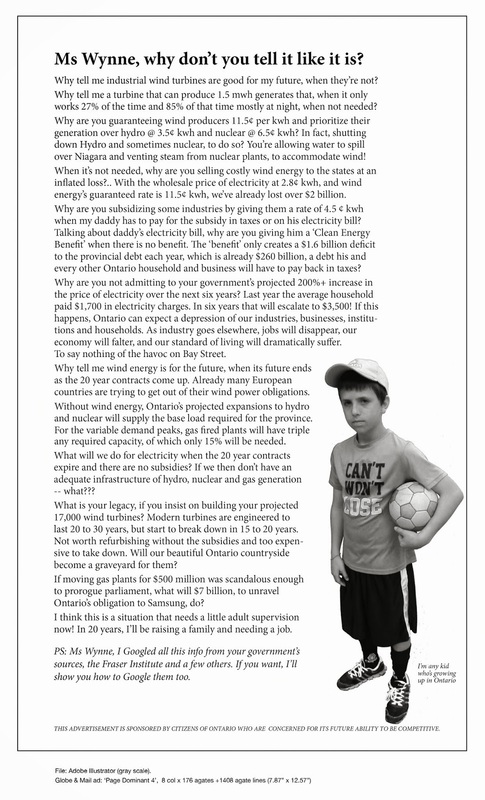 Why the damage to Amherst Island, the 20 wells in Chatham-Kent, the ignored noise complaints, the removal of rights of the municipalities and people of Ontario under the Green Energy Act? John, your party has a lot to answer for including the anguish your party has inflicted. We sincerely hope you do not achieve official party status; a party such as yours that treated the people of Ontario as you did does not deserve to be anywhere near the democratic government of Ontario. Hundreds of fishermen from Holland and Belgium took their grievances against the discard ban and the loss of fishing grounds due to the expansion of wind farms to Amsterdam this weekend, making plain their dissatisfaction with the way their industry is heading. Seventeen fishing vessels docked in the centre of Amsterdam, a city that built its wealth and prosperity on the herring fishery. Between 600 and 700 fishermen from Holland and Belgium arrived in the city for a peaceful but highly visible protest that was followed by dozens of journalists.